Welcome everyone, I am glad you could join me. 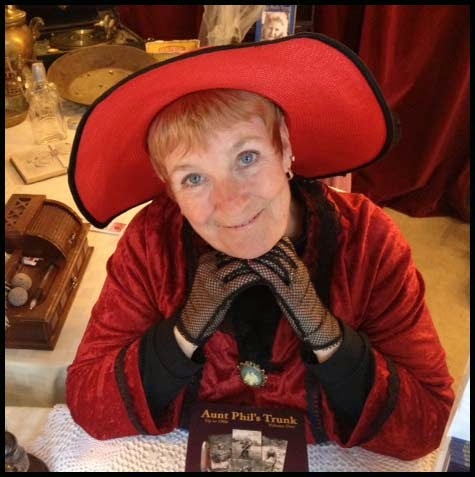 I want to introduce you to a great author and a wonderful set of books. Laurel Downing Bill is my guest today and I am extremely happy to have her. 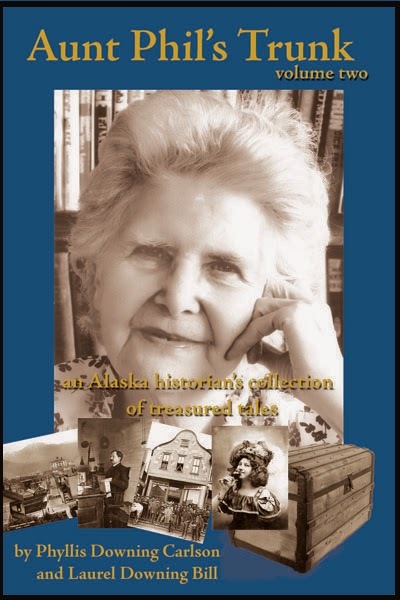 Aunt Phil's Trunk is a wonderful collection of stories about Alaska's colorful history written by both Laurel and her aunt Phyllis. These books are dedicated to Laurel's aunt. 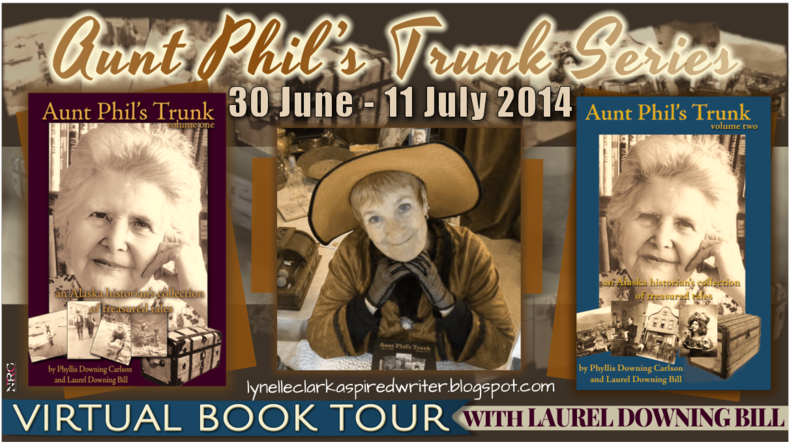 Phyllis Downing Carlson was one of Alaska's most respected historians and the inspiration behind Aunt Phil's Trunk. She moved to Alaska as a small child in 1914 and grew up amongst railroad men and miners before becoming a teacher and historian. Laurel Downing Bill was born in 1951, just four short years before Alaska became a state. She grew up between the gold rush town of Fairbanks and Juneau. Growing up with a passion for writing she earned a bachelor's degree in journalism in 2003 and has since written award-winning articles while working hard to give us these wonderful stories. These women were immersed in the rich history that fills these volumes. Aunt Phil's trunk, both volume one and two, are filled with the adventures of Russian fur traders, Eskimos, gunslingers, dog sledders, and the first lawyers. Filled with thrilling tales and wonderful photographs it is easy to lose yourself in the past of one of our wildest states. I am glad to have had the opportunity to read the first two volumes and am looking forward to the volumes to come. the first iron rails were put in and the first field of oats was sown. And they were all put in place to support one thing: a sawmill, so the residents could start what many people called “Alaska’s Wackiest Industry,“selling ice. In 1851, Californians were in the midst of a gold boom and could afford such luxuries as ice to chill their drinks and keep their food from spoiling. But ice sent from Boston via Cape Horn was very expensive and not enough could be supplied to meet the demand. Alaska was closer. The first shipment of ice was sent from Sitka in February 1852, and it sold for about $75 a ton in San Francisco. whether the “ice business” was just a blind. It proved profitable, after an uncertain start, and provided work and profits for many years. because Sitka had no ice that winter. The first mention of the ice establishment on Woody Island comes in 1855 in a letter from Lt. Doroshin to Gen. Helmerson, according to Seal and Salmon Fisheries and General Resources of Alaska IV. Commercial Company was fixed on Woody Island. 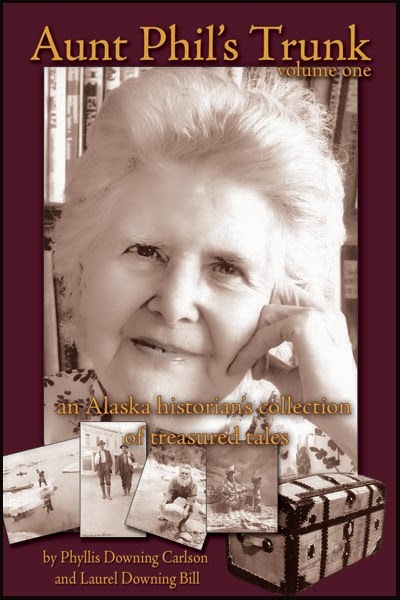 Please connect with Laurel Downing Bill and get to know more about her and Alaska's history.